We are not able to recognise the membership number that you have supplied. Please check and re-enter. You could log into your account again after resetting your password, though all Avios were missing, which made many members panic. It looks like this has finally been resolved. Following our recent communication about some unauthorised activity in relation to your Executive Club account, we are pleased to inform you that we have completed our internal audit of your account. We are continuing to investigate this incident, which we understand was the result of a third party using information obtained elsewhere on the internet to gain access to Executive Club accounts. At this stage we are not aware of any access to any subsequent information pages within your account, including your flight history or payment card details. We also do not believe, at this stage, that any Avios have been removed from your account, so we have now lifted the precautionary suspension on your account and you are free to use it as you wish. However, if you haven’t yet changed your password as a result of last Friday’s email from British Airways, please visit the British Airways website and follow the “Forgotten PIN/Password?” link, which can be found in the top right hand corner of our main home page. We would recommend that you continue to be vigilant about any unusual or suspicious use of your personal data. If you use the same login details for your Executive Club account as you do for your online accounts with any other organisations, we would also recommend that you change the passwords for these accounts. We are sorry for the concern and inconvenience this matter has caused you and would like to reassure you that we are continuing to take this incident seriously. I realize account security is a hot topic nowadays as there have been tons of data breaches. Though I find this particular incident puzzling. British Airways is acting as if any third party access to an account seemed like a hack. Were they not previously aware of AwardWallet, or what? Because based on what they’re saying, it seems the cause of their concern was third party account access, and surely that’s not something that’s new to them. Beyond that, if they were going to temporarily shut down accounts then it seems like they should do that (with an error message reflecting what’s going on) rather than still letting you log-in but seeing all your Avios missing. BA’s handling of this has been abysmal, particularly their piss-poor communication regarding it. They’ve told me for TWO DAYS I will be getting an e-mail from them about it, and nada. Furthermore, I’ve tried to reset my password around 6 or 7 times now (I’ve lost count), and I’m still locked out. Pathetic. I’m getting more info from FT than I am from them. Still locked out and have heard nothing from BA . I’m not worried about losing miles but an update would be nice . Aside from the fact that no one actually lost any miles in this issue (nobody that I know of), I do think it inconvenienced people enough and stressed them out to the extent that would make some extra miles a logical move. 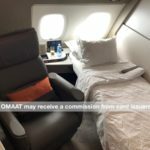 i never received any communication from BA about this… i was able to reset my password and my miles are back as of this morning… but they handled the situation terribly. The handling of this affair has been abysmal. I’ve never received any emails from them (either about audit or about return of the Avios). I’m starting to suspect they didn’t send emails to most members because they wanted to keep this under the radar. Furthermore, I believe people on FT had posted that their accounts were locked even if they weren’t using AW or other services. FYI, my Avios are also back today but it’s really weird to have to find out about these events from a blog instead from BA themselves. Never received any email here either. Terrible handling of the situation. And the communication on this screams rank amateur. I never even knew I was impacted until I got my weekly activity summary email from Award Wallet showing my balance reducing to to zero. I already knew what was going on because of OMaaT (Thanks Ben!) 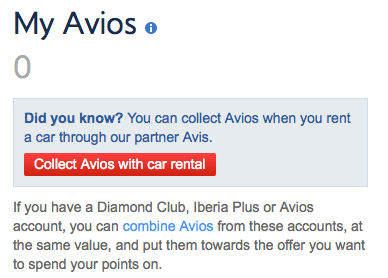 so I didn’t care, but I just re-set my password (Back to my SAME OLD PASSWORD) and the (useless) Avios are back. I have received nothing in the way of communication from BA on any of this. I didn’t get any email from BA. I used Password reset link and it worked second time. I got my Avios back today morning, again no email from BA. I’m normally not a conspiracy theorist, but at this point, I’d be inclined to agree. AW says they weren’t hacked. Furthermore, if they were, why is this problem only affecting BA? Still showing zero Avios (should be ~100k), and I still have not received a single communication from BA. @Brian L. – Sorry, I wasn’t clear. 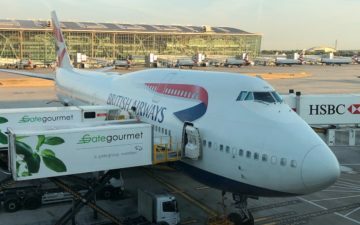 I was suggesting that a system like Award Wallet (“…third party using information…”) may have triggered BA’s security software, not that AW may have been hacked. on positive note: this created an activity and extended life of account by another 3 years. I am still locked out. Haven’t reset my password yet. Have had zero communication from British Airways. If I wasn’t a reader of this or other travel blogs, I would probably be freaked out and have no idea what to do. Bad communication by BA. FYI – I tried to reset my password using a special character (i.e. * # @, etc) and it would not let me until I picked a password with ONLY letters and numbers in it. “This appears to have been the result of a third party using information obtained elsewhere on the internet, via an automated process, to try to gain access to your Executive Club account. So, BA is not blaming third party aggregators like AwardWallet at all, what they are saying is this: you (Mr. Customer) used the same credentials you use on http://www.britishairways.com/ on some other website (not an aggregator website but *any* other website where login credentials are required to authenticate). That other website was hacked and your username / password combination was compromised. Then the hackers tried all those hacked accounts against http://www.britishairways.com/ and some of them worked – this is how they got in. So they are not blaming the aggregators in this case at all as far as I can see. I am happy BA proactively protected our accounts when they discovered a problem. Resetting the password took less than a minute. I would rather be slightly inconvenienced, by the lockdown, than have to prove to them that my points were stolen. I am told by someone who is an IT security expert, not a member of our hobby, that it is believed in the IT community that AW was in fact hacked regardless of what we are told otherwise. I have personally had problems the AW browser extension, it more or less crashed my entire computer, but the person who answers their emails insists it is impossible, yet removing the extension cleared up the problem immediately. @david – The problem isn’t BA protecting their accounts, it’s their almost complete lack of any kind of substantive, meaningful communication. What’s with the AwardWallet blame? I’ve not seen BA point the finger at any specific 3rd party site. There are many others, TripIt, Yodlee, Mileblaster, Milewise, Pointhub, and others. I believe that AwardWallet investigated and responded promptly after this BA issue was discovered that they were not responsible. Is there anyone who does not use AwardWallet who had their account frozen nonetheless? I don’t use AW with BA.com and did not have my account frozen. The language “obtained elsewhere on the internet” does not support the theory it was AW. Also, “some unauthorised activity” does not apply here since you authorized AW to use your credentials. BA may have a specific policy that third parties are not to access your account on your behalf, which could then be considered unauthorized. But if this were the trigger, they should have blocked AW long ago. Lucky: will you continue to use awardwallet for BA? All is (finally) back to normal for me. This has severely shaken the previous high regard I had for BA. I am going to try to calm down before I make any big decisions about my involvement with BA/BAEC, but the pathetic way they handled this is going to loom large in any decision I make in that regard. Dreadful comms from BA on this issue. They also managed to make the email they sent members about it sound like a phishing email scam! AwardWallet definitely weren’t to blame but the email made it almost sound like they were. Have read of plenty of folk who don’t use AW, use a unique password for the BA site and still had their accounts locked, so something more is going on. I have still received no communication from BA in any way. The reset password email never came, even though I tried multiple times. Award Wallet appears to show a refund of *some* points, but not all – only the recent transfer from Amex, not the points I already had in my account before that. But I can’t login to check. Totally pissed about this whole thing and how badly it’s been handled.